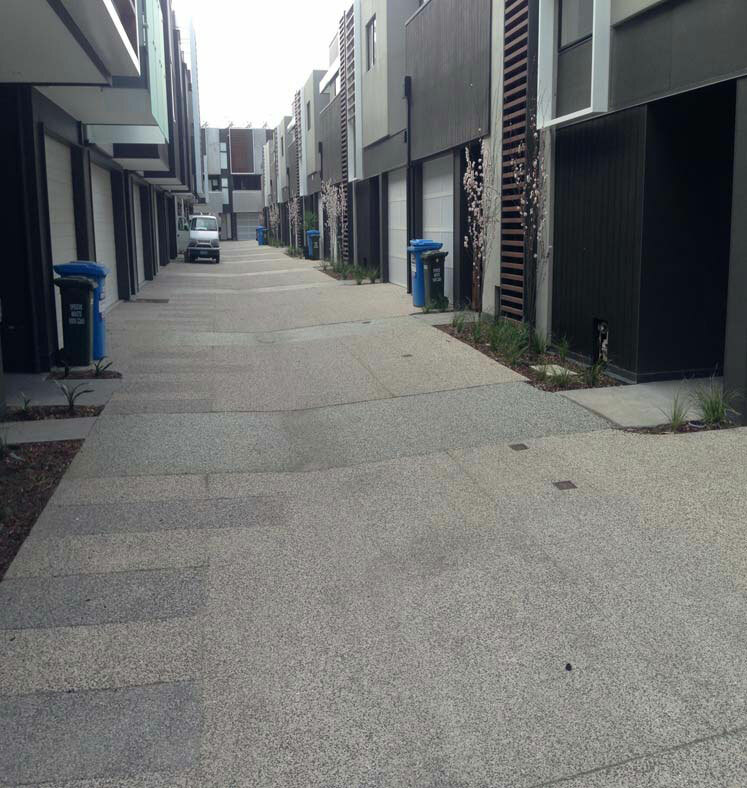 UDL was awarded the landscape works to this Glenvill multi townhouse development in Northcote. We did all the exposed concrete driveways including the permeable infill bands. The concrete driveways also had an exposed pedestrian walkway. All the backyards had bluestone paving and garden beds. The common areas had garden beds with automatic irrigation system, timber fences and brick letter boxes. UDL also did the streetscapes including street trees, grassed nature strips and concrete paths. The project had tight time frames and lots of trades working all over the place, but we got there in the end.